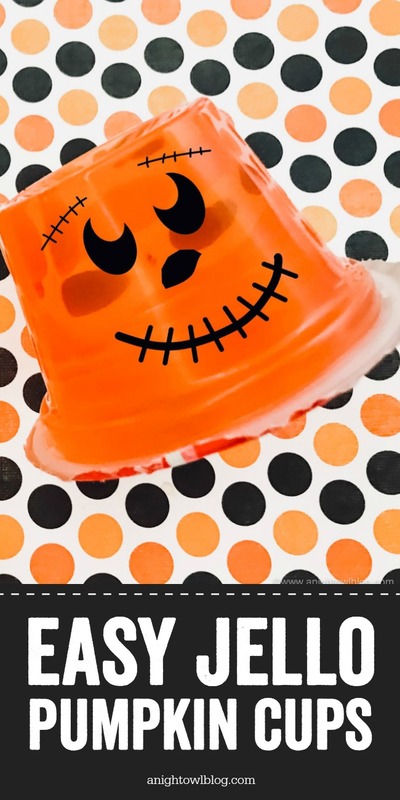 Perfect for Halloween Lunch Boxes, whip up these easy Jello Pumpkin Halloween Treats in no time with just a few supplies! 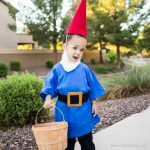 Halloween is such a fun time of year for crafting and creating fun things for the kids! 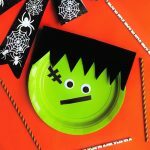 Last year we whipped up these Halloween Lunch Box Jokes and my boys loved them so much, I wanted to come up with a few new ideas this year for their lunch boxes! 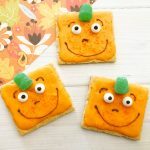 I love fun and easy, so these Jello Pumpkin Halloween Treats fit the bill! 1. 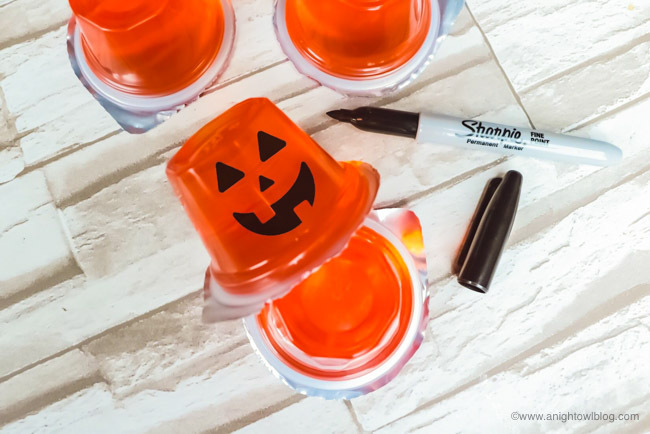 Take your Orange Jello Cup and your Black Sharpie and draw a pumpkin face onto the Jello Cup. I suggest practicing on a blank piece of paper before attempting to draw on the Jello Cups. Or if you’re not great at freehand (like me) you can use these stencils to make perfect little faces! 2. 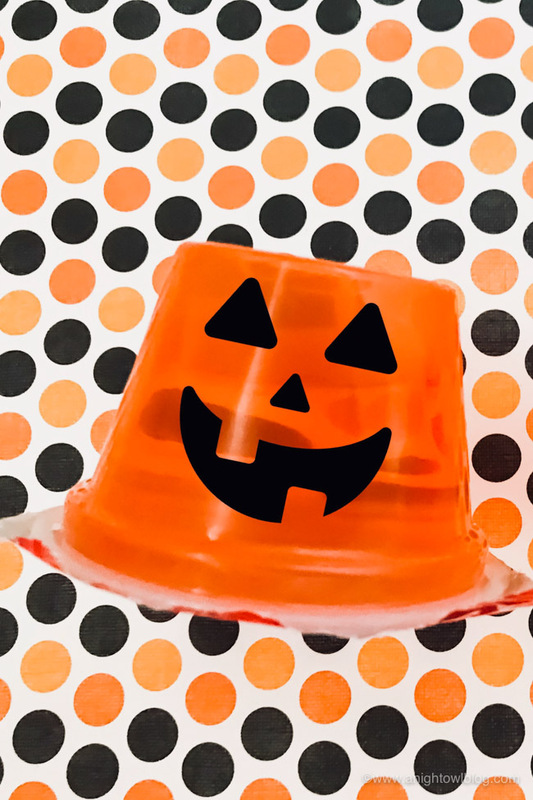 Keep drawing pumpkin faces until each Jello Cup has a face. 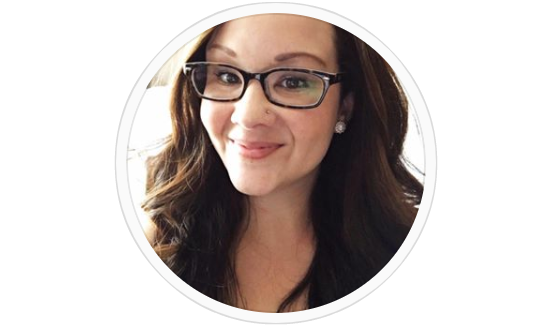 You can even have your kids participate to make this a family activity. 3. 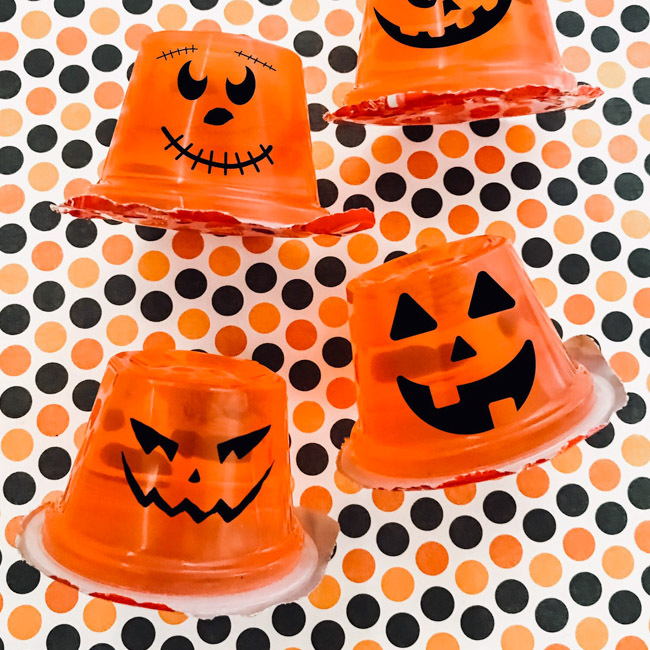 Now your Pumpkin Jello Cups are ready to serve! Perfect for classroom Halloween party treats since most school do not permit homemade snacks. 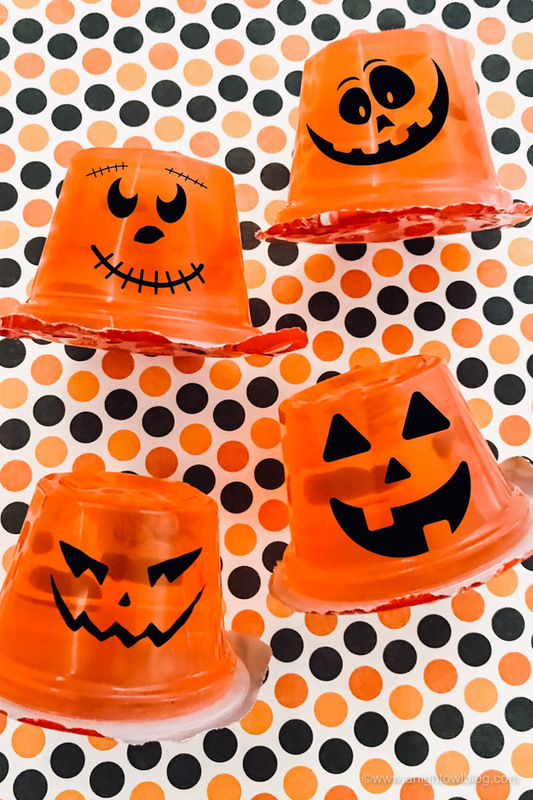 These Pumpkin Jello Cups are the next best thing. 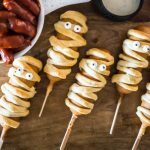 Halloween Treats are perfect for lunch box snacks, after school snacks, halloween parties and more!